Here, a combined analysis of altimeter data and specially designed climate model simulations shows the 1991 eruption of Mt Pinatubo to likely have masked the acceleration that would have otherwise occurred. This masking arose largely from a recovery in ocean heat content through the mid to late 1990s subsequent to major heat content reductions in the years following the eruption. A consequence of this finding is that barring another major volcanic eruption, a detectable acceleration is likely to emerge from the noise of internal climate variability in the coming decade. From the NATIONAL CENTER FOR ATMOSPHERIC RESEARCH/UNIVERSITY CORPORATION FOR ATMOSPHERIC RESEARCH, and the department of “let’s not show a graph of sea level rise in the press release” comes this real PR spin job. I say, if he'd bothered to glance at the paper he'd have seen a lovely big chart of sea level rise. I'd also say that it's better to show a chart of the latest measurements than to show a wonky chart that's missing almost five years of data! The comments are entirely predictable, full of conspiracy theorising of nefarious intent etc. Got to admire the message discipline of the climate activists. Their story changes are handled as they were in Orwell’s 1984 — the past goes down the memory hole, replaced by a new truth. 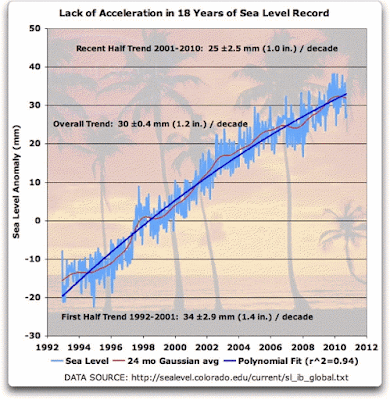 Years of declarations that the rise in sea levels are accelerating — gone! Not a peep from activists about their confidently hysterical warnings about this. That’s how society is changed: long-term lavishly financed efforts by well-organized professionals. Like a river eroding away bedrock, a grain at a time. We’re surrounded by invisible space aliens – trust me! There is a sense of urgency out there in scare land to make the big play for a permanent (all purpose) Waxman carbon tax before cyclical cooling sets in. You don’t have to be a genius to see the factual evidence of long cycle cooling coming back around in ARGO data sets for oceans and atmospheric cooling at least in the northern hemisphere with solar minimum and spotless sun coming up. That happens to be the same region where the money comes from if anyone is bean counting. 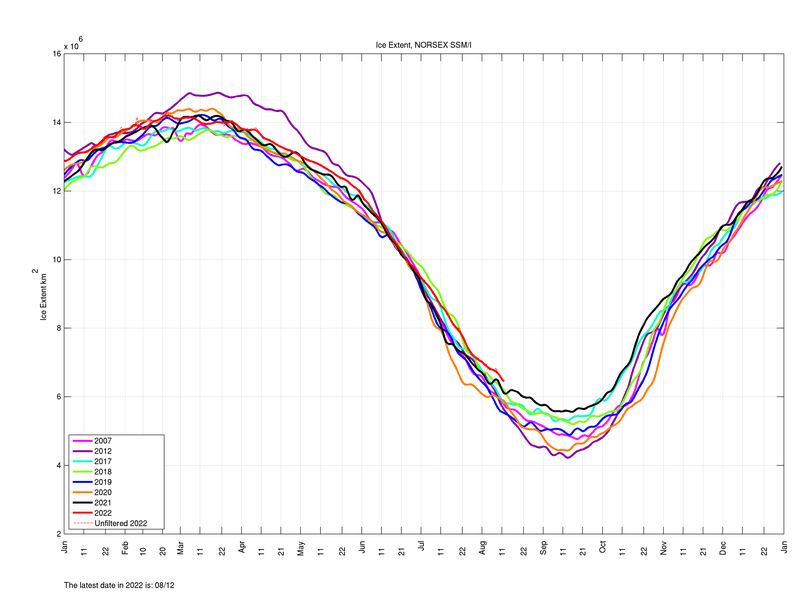 Short term cooling from ENSO does not help either in the political calculus of courtroom win-the-day spin tactics. Bruce Cobb is planning for a pause. He will have to wait a bit the way things are going. They are busy rehearsing for when the “Pause” returns. They are planning a really big shoe, with lots of songs and tap-dancing. It will be brilliant. I wonder if dim denier Eric Slattery (@Technos_Eric) thinks he sounds clever? After all that work…….these clowns need to be told that the typical Signal + Noise paradigm doesn’t work in a non-linear chaotic system for extraction of signals, especially in a system that you don’t really understand. We can extract/differentiate between a Baby and a Mother’s heart beats using EKG with non-linear signal extraction methods, but it helps that we know the dynamics of heart beats and know (with a high degree of certainty) what the EKG should look like. Chalk up another useless paper filling the pages (Journal) with misinformation. His chart stops some time in 2010 - right before that big dip in sea level when all the water was shifted from the oceans to Australia, South America and Asia. It's not like the AGW deniers to not get the most out of a cherry pick that they can. 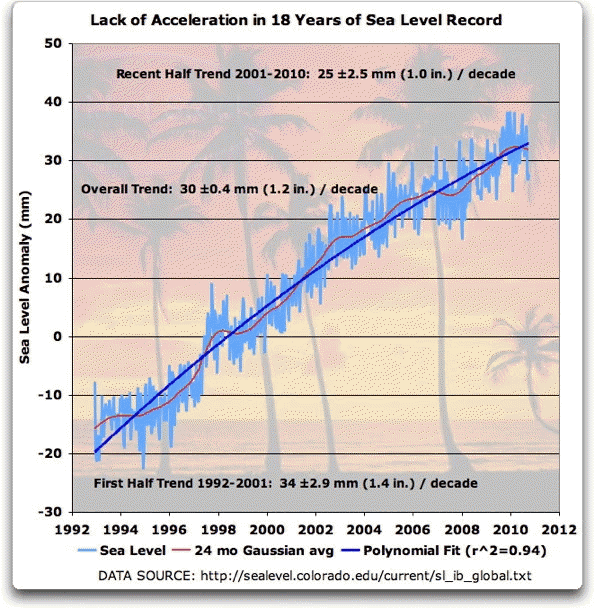 Why did they stop the chart in 2010, when end-of 2011 SLR anomalies were even lower than those of 2010 due to all the ocean water that moved inland via the severe storms that flooded (as Sou said) large parts of South America, Thailand, Pakistan, Germany, Australia, et. al.? Ah, but of course: when there's a scientific explanation for a climate-related phenomenon, it must be ignored at all costs. How stupid of me not to realise that. Sorry, I meant when there's a *simple* explanation that even an 8-year old would understand, the wingnuts will refuse to accept it if it goes against their ideology. On the bright side, The Donald is bound to do something so stupid between now and November that it *should* make him unelectable. OTOH, expecting the average voter in the U.S. to realise that such an event happened is probably asking too much. Someone please remind me again... how did we arrive in this situation? That is a rhetorical question, BTW. The Donald has already said/done many things so stupid that it should have made him unelectable and yet here we are. If there were to be a few more Paris style massacres in or around election week the Donald could win. I can't say how we arrived -- where we are now isn't the destination. Clearly you are misreading that Sou. He is referring to the reactions of the WUWT group and actually is showing a growing realization that AGW is TRUE! As I understand it there is a decades long response time for the ocean to react to changes in atmospheric temperatures. Also, literally all records show a sharp increase in global warming during the period from 1979 through 1998, when a major El Nino boosted the world's temperature considerably. 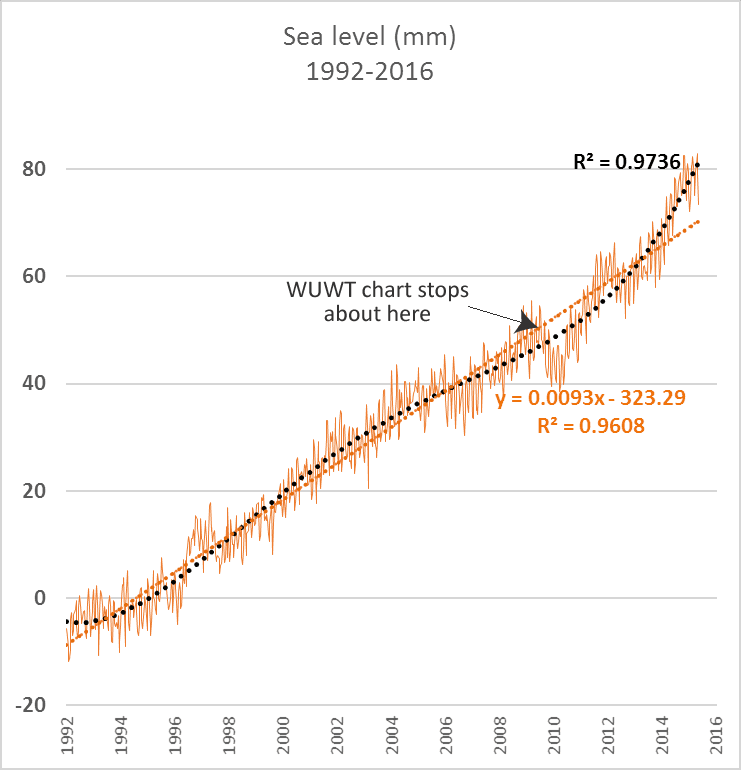 Since that time, while there has been no dramatic increase in warming, there has certainly been no significant decrease either. And according to many climate scientists, the "missing heat" expected from CO2 emissions has moved into the oceans. So could someone please explain how the eruption of Mt. Pinatubo could have cooled the ocean and raised sea levels while both the atmosphere and the ocean were warming. DocG - see references 23 (http://www.nature.com/nature/journal/v438/n7064/full/nature04237.html) and 24 from the paper that is being talked about here. Reference 23 is behind a paywall, but the abstract may help. Reference 24 may be old enough to be freely available. If you really need reference 23 I may be able to get it to you. A couple of things. I don't think that atmospheric temps raise the ocean temps. The ocean is warmed directly from solar radiation, and also the backscatter radiation from greenhouse gases. The 1997/98 El Nino was not global warming, it was a natural variation. Global warming has increased since 1998. "Dramatic" is a subjective term. The Mt Pinatubo eruption decreased solar insolation, this in turn cooled the oceans a bit. I was not aware that this event raised sea levels. >>"I was not aware that this event raised sea levels"
The ignorance of commentators below such Guardian articles never ceases to amuse. Below the Abraham's article one basaya asserts that the Everest summit is still the same height above sea level as it was in 1955.
basaya then refuses to learn from the assistance provided by Erik Frederiksen and John Samuel showing that he is eminently qualified to be a Watty. That was in 2009; a more accurate answer should include recent findings from http://www.sciencemag.org/content/348/6237/899.full - "We use satellite altimetry and gravity observations to show that a major portion of the region has, since 2009, destabilized. Ice mass loss of the marine-terminating glaciers has rapidly accelerated from close to balance in the 2000s to a sustained rate of –56 ± 8 gigatons per year, constituting a major fraction of Antarctica’s contribution to rising sea level. 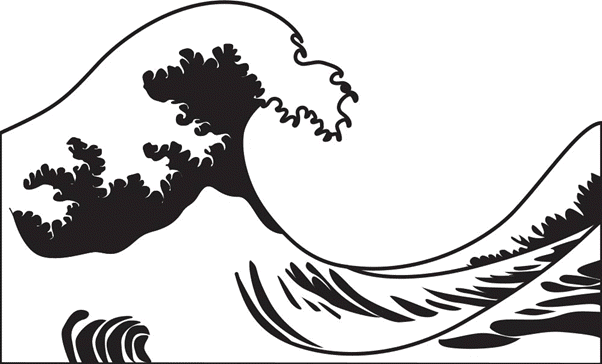 The widespread, simultaneous nature of the acceleration, in the absence of a persistent atmospheric forcing, points to an oceanic driving mechanism." The Wattsian denialists do not understand the mathematical concept of acceleration, nor that wishful thinking("creating our own reality") won't actually open a hole to Middle Earth where the excess water can safely drain away. Someone ought to remind the deniers that any proposed tax is designed to change behaviour, not raise more money. Therefore it they have to pay more for their energy they can expect to see lower taxes elsewhere. Mind you in the USA, that probably means a reduction in the higher rate of income tax. I don't really blame them for not believing the revenue neutrality. Sure on day one the law is written to be revenue-neutral, but then on day two other laws get written. An example: lotteries in the US are supposed to bolster education funding. But of course legislatures that set up lotteries subsequently cut education funding from the general fund.